Have you heard of the city of Jakarta? It’s the capital city of Indonesia, the fourth-largest country in the world. I didn’t know much about Indonesia when I left Germany, on my way to perform my iPad magic at an event in the massive island country. Arriving in Jakarta almost a whole day later, I found myself in a bustling Indonesian city of more than 9.6 million people. Longing for the solace of my hotel bed after an arduous journey, instead I was whisked off to a rehearsal, where I would be preparing for a huge event at the Indonesia Convention Exhibition (ICE). 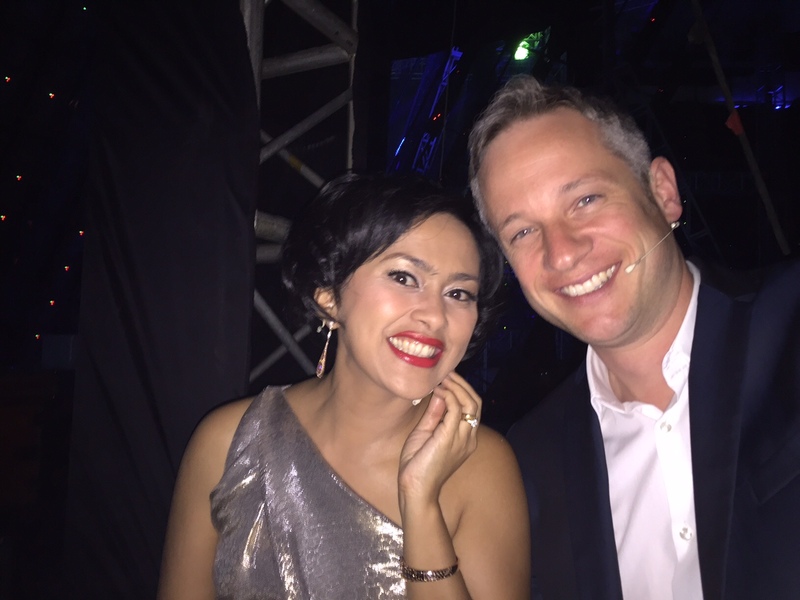 That’s where I met the charming Sarah Sechan, who I would describe as the Indonesian Ellen DeGeneres. Sarah is gentle, witty, funny, and knows precisely how to make sure her guests feel comfortable. A half-hour chat with her was just what I needed to keep me from falling asleep in my jetlagged state. She made the time go by fast, and after the two-hour rehearsal, everything was ready for the big broadcast the next night. When the next day dawned, I was awakened by a commotion of kinetic enthusiasm, with costumed people running on the streets, riding bikes, forming groups … what was this, a triathlon? An Indonesian version of Mardi Gras? Nope, it was downtown Jakarta on a Sunday, when they close the main street for everyone to enjoy doing whatever they please. Before I knew it, it was time for an elegant lunch at the Skye restaurant, located in the heart of the city in the 56th-floor rooftop of BCA Tower. They were serving up some exotic fare, especially that black burger. Just look at it! 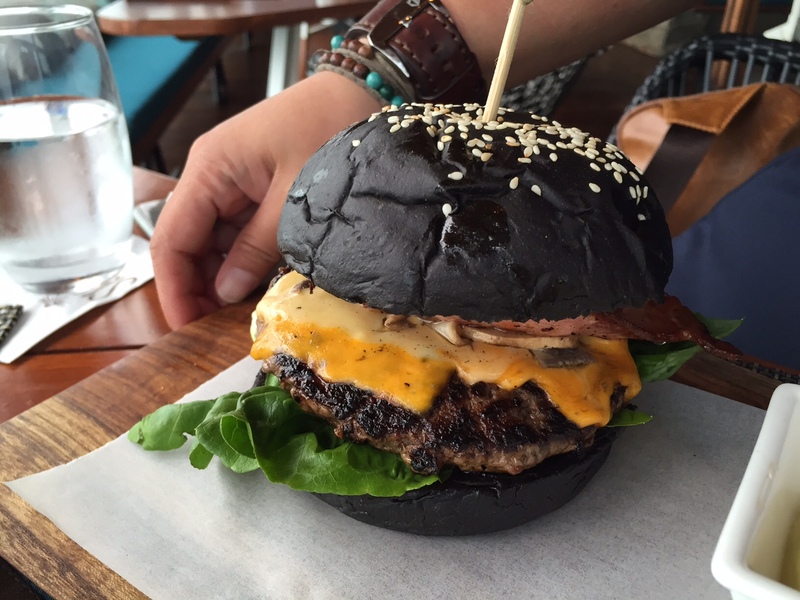 It startled me at first, but I had nothing to fear — its bun was black thanks to the ink of an octopus, and made for an unusual and trendy (and tasty!) lunch. Best of all, the rooftop restaurant gave me a spectacular vantage point of this magnificent city. It’s always great to see a large metropolis from above, giving you a much better idea about how it’s situated and what it’s really like. Meanwhile, preparations continued for the big event, celebrating the second anniversary of a young Indonesian TV network called NET. It was a huge production, comparable in scope to the Oscars telecast in the United States. After the show started, it would be about three hours until my performance began. I went on stage with the charming Sarah Sechan, where I showed her a thing or two about iPad magic. I even did the beer trick where I pour a huge mug of beer out of the iPad (but in this context I used milk). The most astonishing thing about this broadcast was the gigantic size of its audience, similar to the viewership of the most popular broadcasts in the United States. Performing for an audience of that magnitude, I was pleased and relieved when my performance went as planned. The next morning, I was still basking in the afterglow of that monumental event when I had breakfast with a magician friend from Holland whom I hadn’t seen in years. 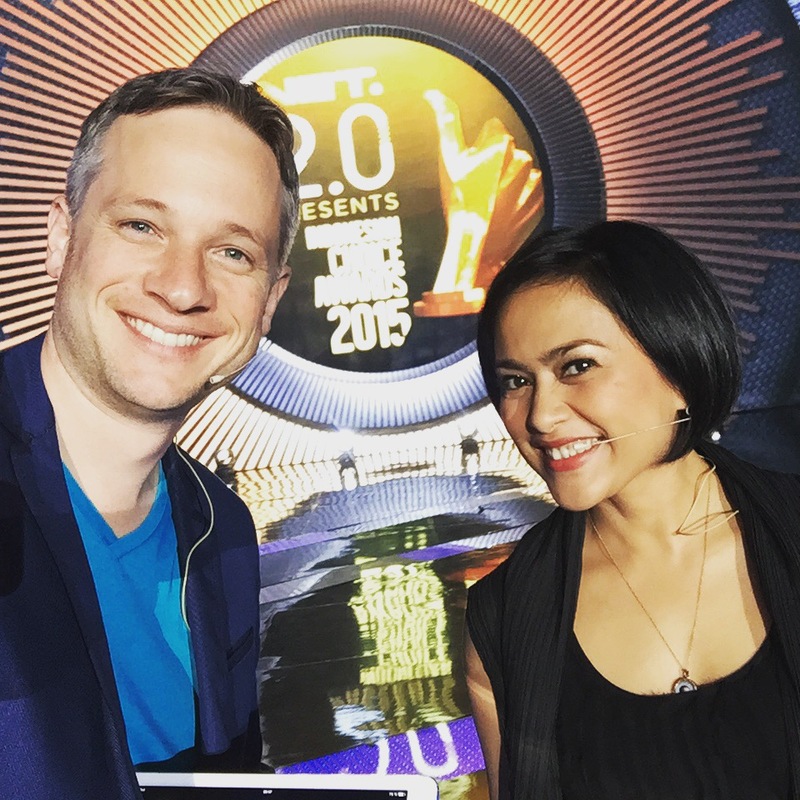 Georges Hilaul had moved to Jakarta to support disadvantaged kids living in the streets, and he and I discussed ways to introduce his project to Indonesian TV. We hope to raise awareness of his worthy cause with a conversation I might have with Sarah Sechan on a FaceTime video chat. Topping off the trip was a refreshing trip to the beach and a lovely lunch at a beautiful outdoor location before heading back to the airport for the long journey home, half a world away. 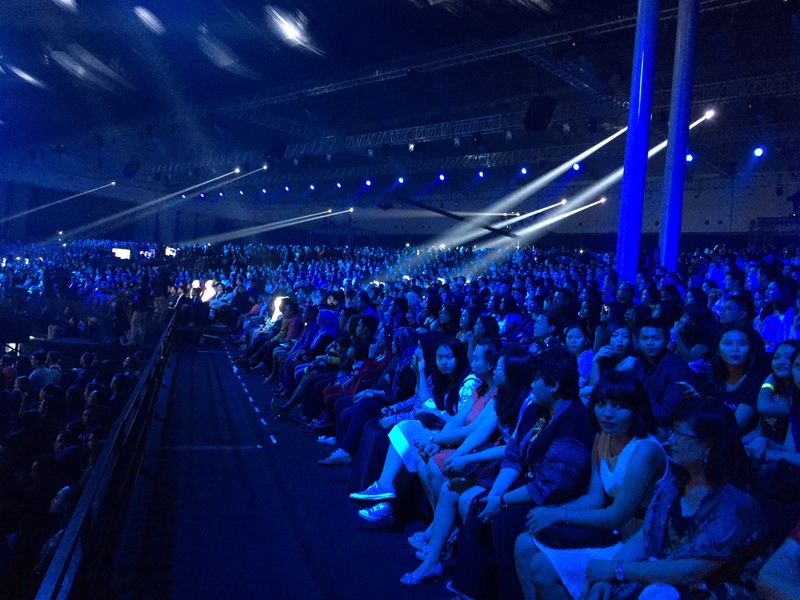 The trip was a success, and I was flattered and overjoyed at the reception from the kind people of Jakarta.